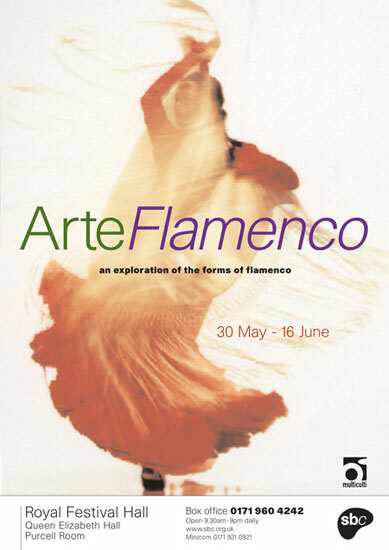 Cover for an A5 leaflet for a Festival of Flamenco Dancing in 1998. Design by JP. Photography by Tim Simmons.